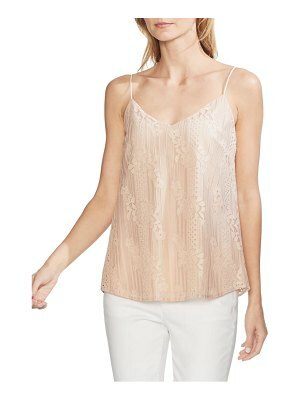 Vince satin camisole with lace trim. 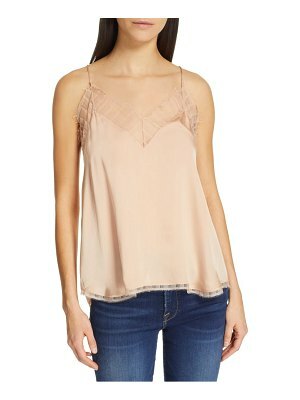 V neckline. Thin delicate straps. Slipover style. Silk. Dry clean. Imported.